Castles are strategically located on top of hills in the countryside or just out of main cities mostly built during the Middle Ages. Some were fortified residences of lords or noble families, others were defensive structures to control the area immediately surrounding them. Thanks to their position nowadays castles offer a heavenly setting for an exclusive and romantic wedding day surrounded by history, majesty and comfort. 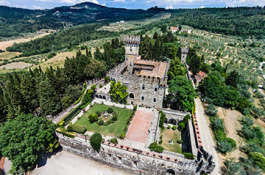 We can recommend some enchanting Castles in Tuscany, there are some amazing ones just out of the city of Florence, incredible Castles in Apulia are ideal for large wedding and majestic Castles in Italian Riviera offer unique settings for your Italian celebration. Italian Castles are a fabulous backdrop to frame a fairytale, perfect Italian wedding. Marrying in an Italian Castle means entering magical and atmospheric rooms and halls with original three-foot thick walls, furniture and paintings, feeling like a King and Queen. The events we organize in a Castle are always a magical and thrilling experience that give your guests memories to last a lifetime. The original beauty of the castles we work with is preserved by careful yearly restorations and perfectly combines with modern comforts. Some castles offer accommodations on their grounds, others can be rented for one day. All guests will surely appreciate the warm welcome and will be overwhelmed from the first minute they start living this experience. 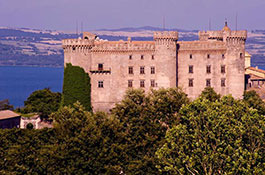 This castle is located on the shores of Lake Bracciano, only a few kilometers from Rome. Ideal for large events up to 600 guests in the various halls available. Medieval castle only 10 minutes' drive from Florence. Beautiful gardens and panoramic terraces. Ideal for events up to 100 guests. 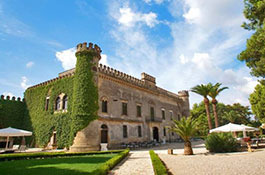 Majestic castle located in the heart of Salento. Surrounded by a gorgeous park, it can host events up to 300 guests. Accommodation available on site up to 40 people. Castle surrounded by spectacular vineyards, in the wine region of Friuli in northern Italy. Wedding reception for up to 170 guests. 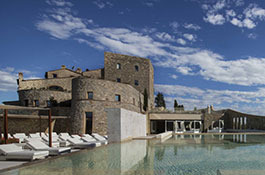 Accommodation in 9 exclusive suites inside the castle. 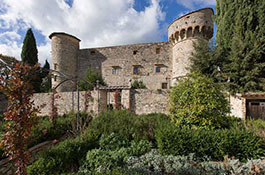 This castle is located on the gentle hills of southern Tuscany. 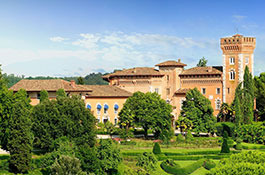 Castle suitable for events up to 100 people in the panoramic garden. Accommodation on site up to 20 guests. Large estate, located in the Tuscan countryside, just 30 minutes drive from Florence, surrounded by vineyards and olive trees all over the green hills. Suitable for events up to 150 people. 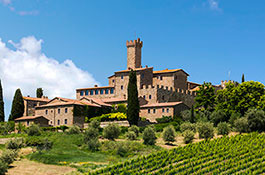 Castle on the Tuscan hills near Montalcino. Suitable for banquets up to 130 people. Accommodation available on site up to 35 people. 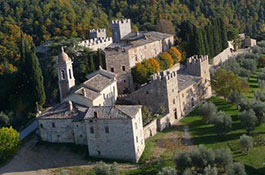 This castle is located only 40 minutes' drive from Siena. Impressive courtyard for outdoor wedding banquets up to 200 guests. Apartments and double rooms can host up to 200 people. 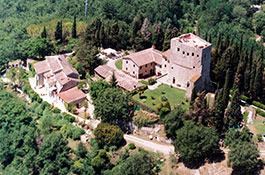 The castle is located on the top of a hill overlooking the Val di Greve in the heart of Chianti. Ideal for events up to 180 guests. Accommodation in a nearby farmhouse for about 30 people. 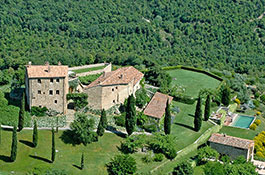 Castle on the Tuscan hills near Montalcino. Gorgeous panoramic terraces for outdoor banquets up to 130 guests. Accommodation available up to 100 people. 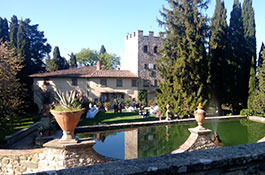 This charming castle is located a few kilometers from Gaiole in Chianti. Ideal for events up to 130 guests. Accommodation available on site up to 54 people. 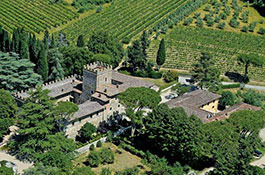 This incredible castle rises in the heart of the Chianti territory. Recommended for wedding receptions up to 160 guests. Accommodation for up to 60 people.